I’m a young marriage celebrant with a passion for fun and unique weddings. I believe your wedding ceremony should be a celebration. I believe it should be deeply personal but full of laughter. It should get the party started and set the tone for the rest of your day. I am genuinely excited about weddings and I’d love to talk to you about yours. I want to hear your story, take the time to get to know you both, and work with you to create something memorable and meaningful. I’ll guide you through the entire planning process and provide inspiration at every step of the way. I’ll deliver a ceremony that is heartfelt and hilarious, engaging and exciting, one that reflects your personality, your sense of humour and your love for each other. IT'LL BE AWESOME. I SOLEMNLY SWEAR. "Damon was absolutely fantastic and we loved every single minute of working with him." 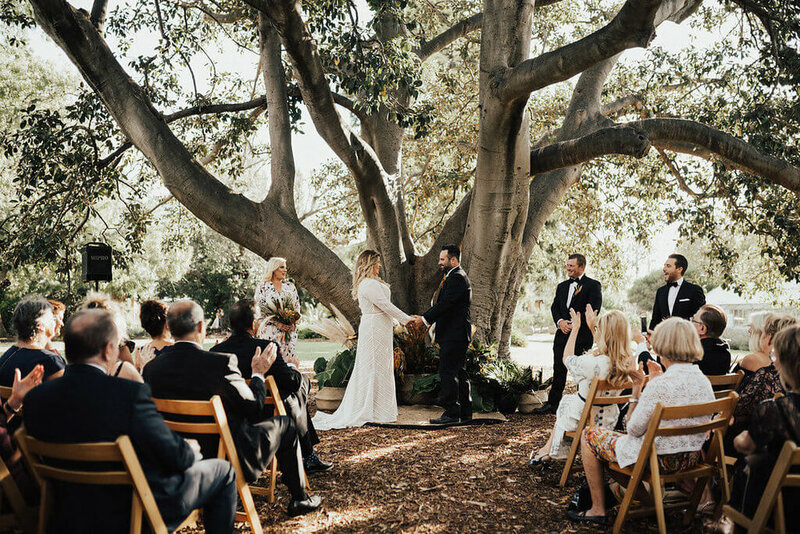 "Our guests could not stop raving about Damon and how amazing our ceremony was. People were laughing hysterically one minute and crying the next! Nothing was ever too much trouble and Damon was always happy to answer phone calls and messages whilst helping us stay calm when the stress of the wedding got to us. We could not recommend Damon enough. 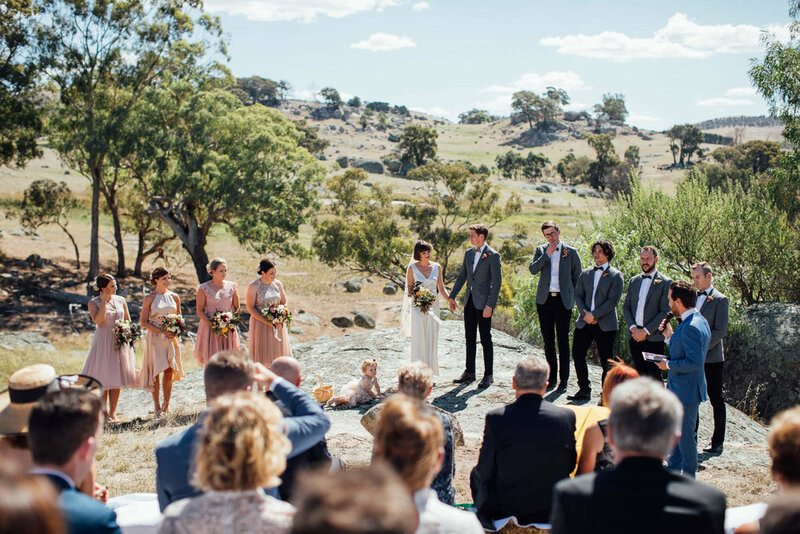 He made the process fun and taught us how to write incredible vows whilst developing an extremely personalised ceremony that was a perfect reflection of our relationship. 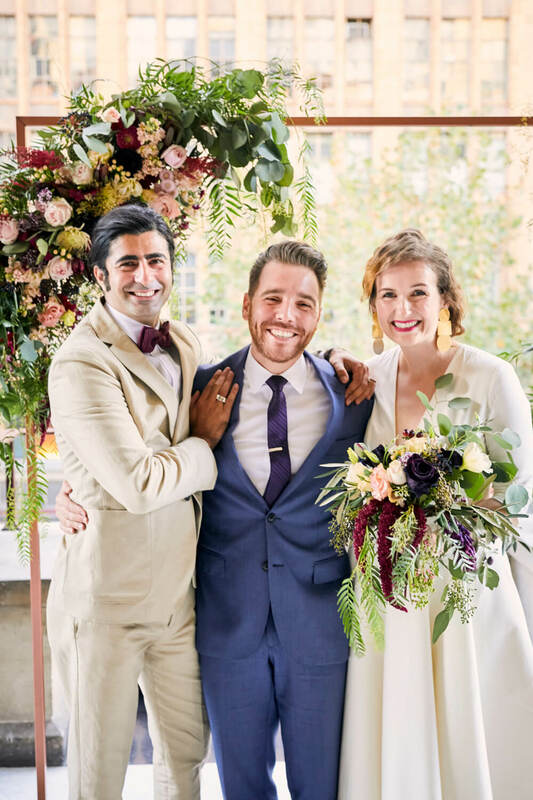 His funny sense of humour, vibrant personality and warm nature was exactly what we wanted and we were so incredibly grateful to have him with us on such a memorable and special day." "I don’t know where to begin in trying to explain how much your input in our wedding made it such a special, perfect day. From the get-go you made us feel so comfortable and got us so excited for what was to come. After just a few catch-ups you felt like a close friend that knew all the deepest parts of our relationship. The time you spent finding out about us as people, and us as a couple, really made for an incredible ceremony. It felt like we had a very well-spoken friend up there running the show. You got the exact tone of the day so perfect without us even telling you. It was the perfect blend of funny and soppy - which I guess sums us up pretty well. I’ve never heard so many people asking for the details of a celebrant after a wedding. We look forward to being back out in the crowd watching you do your thing at a wedding soon!" "We can't speak highly enough of Damon's service. We aren't quite sure how Damon did it but he captured the essence of our relationship perfectly! He made us laugh. He made us cry. He made us feel elated. Which is exactly the balance you want at a wedding. All of our guests also commented on how great the ceremony was, thanks mostly to Damon. We can't recommend this guy enough!" "That was by far the best wedding ceremony I have ever seen." Please fill out the form below or hit me up via phone or email. I'm based in Melbourne, Australia and available to travel worldwide. What else should I know about your wedding? Your partner? Your "furbaby"? Enlarge the gallery photos below for photographer and venue information.